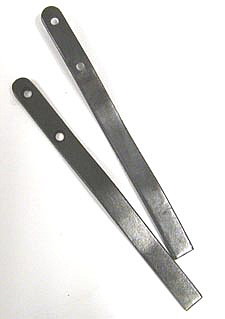 Used for securing the heads of top anvil tools (or any wooden handled tool). Fit the tool head on the handle and burn a 3/8" groove in the handle. Install the wood screws, the too head and bend the top of the tool lock out and cut it off flush with the edge of the tool handle. Now your tool head is secure!